Lisa Cooper is an artist, writer and journalist based in Cornwall, UK. 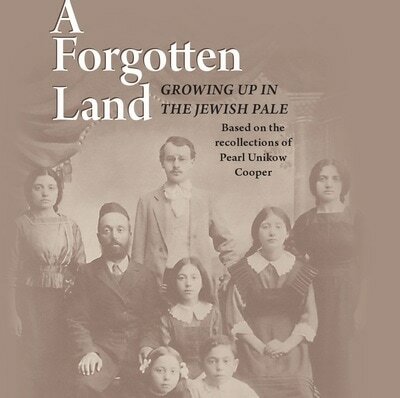 Her book A Forgotten Land is the story of one Jewish family in the Russian Empire in the late 19th and early 20th centuries, set within the wider context of pogroms, World War I, the Russian Revolution, and civil war. Based on recorded conversations Lisa's father had with his mother, Pearl, about her early life in Ukraine. It weaves personal tragedy and a little-known history of the period together as Pearl finds her comfortable family life shattered first by personal loss and later by the Bolshevik Revolution and all that follows. ​Inspiration for Lisa's paintings comes mostly from the Cornish landscape, in particular its fishing villages and coves, and the coast on a stormy day with its shifting interplay of sea and sky. She works across all media, but particularly watercolour and mixed media, and is happiest expressing herself in a fast, loose style that sometimes veers towards abstraction and captures the immediacy and movement of her surroundings. 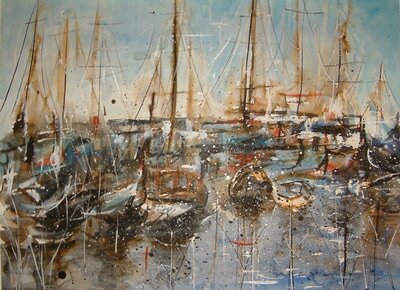 Her work can be seen in many galleries and public rooms across Cornwall.